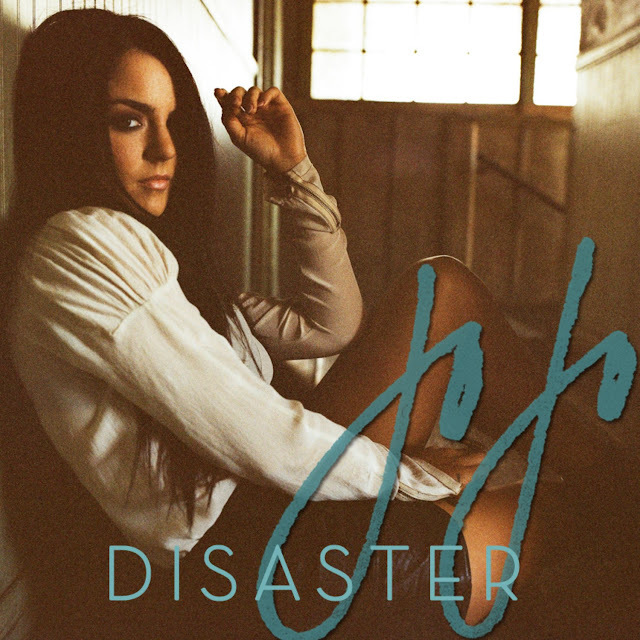 20 year old Pop/R&B singer JoJo FINALLY unveiled her new official single "Disaster" earlier today and it was well worth the wait. The Mario Marchetti-produced track starts out like just like any other JoJo single (listen to "Too Little Too Late," "Anything") but it shows something that previous singles really didn't - growth. She may be only 20 years old but my my my, how much she's grown as as a performer. Her vocals have always been impressive but there's just something about her performance in this new song that's different...more mature maybe. In the nearly 5 years since the release of her last album, 2006's The High Road, JoJo has certainly had plenty of time to grow. "Disaster" is set to be the first official single taken from her forthcoming third studio album, Jumping Trains, tentatively due out in the Fall via Interscope Records. Back in 2008 & 2009 JoJo a bunch of names were thrown about as potential collaborators on the new album (THEN tentatively titled All I Want Is Everything), names such as Timbaland, Jordan Gatsby, Tank, DJ Toomp, J. Moss, Toby Gad, The Underdogs, Danja, J.R. Rotem, Billy Steinberg, Bryan-Michael Cox, Marsha Ambrosius, Madd Scientist, Tony Dixon, and Eric Dawkins. No word on how many (if any) of these artists worked with JoJo but one thing is clear, it's been a long time coming and I for one am beyond excited. Between 2006 and now, JoJo has been plagued by record industry drama, mostly surrounding the delay of her third record and incessant leakage of her new material (which JoJo later claimed were demos for other artists). JoJo has taken to her official blog, as well as to her Twitter account expressing her frustration with the business and the BS, always coming across classy and well spoken, not bitter and jaded like many artists who experience the same industry push and pull. Nearly a year ago, JoJo released a mixtape entitled "Can't Take That Away From Me," showcasing a darker, more experimental sound. It was clear after seeing the controversial video for the mixtape's first "single," "In The Dark" that JoJo was anxious to ditch the sweet, innocent vibe that followed her around since the release of her self-titled debut album back in 2004. The mixtape featured collaborations with Travis Garland, Jim Beanz, Beau Dozier, Chad Hugo (of The Neptunes), Kenna, Oak, The Messengers, up & comer Jordan Gatsby and was almost exclusively co-written by the young pop talent herself. Pretty impressive. Now how about something official with some major label backing? I think JoJo has proved herself deserving of at least that much Interscope. Scope out the official artwork for "Disaster" up above and listen to the new single on YouTube below. Make sure you also sign up for JoJo's official mailing list by clicking HERE and stay up to date on all the latest JoJo album news. "Disaster" was serviced to radio on August 29th and will be available to download via Interscope Records on September 6th. DEV isn't really an artist I've spent too much time posting about because...well...I don't really know where her true talents lie. Sure, she's ATTACHED herself to a few catchy tracks ("Like A G6" by Far East Movement, "She Make Me Wanna" by JLS and "Bass Down Low featuring The Cataracs) but that's really all it feels like to me - an attachment. I don't really know who DEV is as an artist. She doesn't REALLY sing, which you know, works for Britney and Ke$ha but that market's already been pretty well covered I think. All criticisms aside, "In The Dark" is a pretty catchy tune in and of itself. No, it doesn't stray too far away from it's predecessor, "Bass Down Low" but that's OK. It's got beat for days and a super slick video to boot (directed by Ethan Lader, who also directed the "Bass Down Low" video). 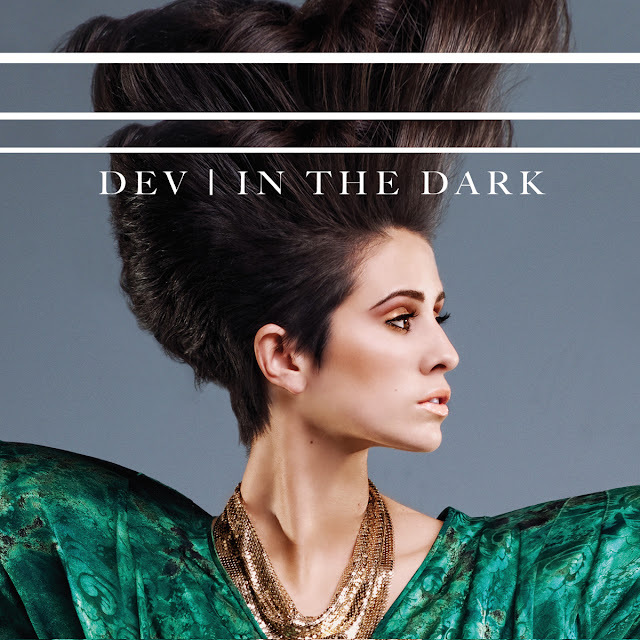 "In The Dark" may very well be the tune that changes my mind about DEV. I still don't really know if I'd enjoy a full album of this auto-tuned-to-hell electropop but from what I hear, DEV does have talent beyond talk-singing. In fact, she co-wrote this very track. Who knew? "In The Dark" was released back in April and is the second official single taken from her forthcoming debut album, The Night The Sun Came Up, due September 5th in the UK on Island Records and September 20th in the U.S. via Universal Republic. Featuring hip-hop remixes with Flo-Rida and 50 Cent as well as dance mixes by the Proper Villains, Hype Jones, Mixin Marc & Tony Svejda, Johan Wedel, Static Revenger, Havana Brown, and Martin Volt Le Que & RJX the single peaked at #56 on the Billboard Hot 100, and #37 on the UK Singles Chart. Download "In The Dark" on U.S. iTunes HERE and check out the super cool video below.